Chemical spills on the road create an entirely different set of hazards, and need a selection of specialist spill kits to cope with them. Our ADR spill kits contain all the tools, and are designed to protect the environment and the operator during the clean-up operation. Once again, the Spill Control Centre team has thought of everything for your peace of mind. 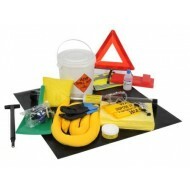 View our comprehensive range of Spill Kits. Sturdy metal wheel choc holder. 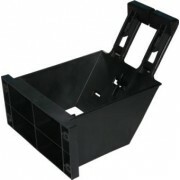 Strong and durable for protection of wheel chocs. Sturdy plastic wheel choc holder. Basic PPE safety kit in line with ADR regulations. 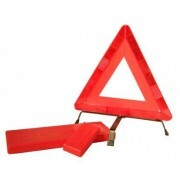 Ideal safety equipment pack for vehicles carrying dangerous loads. Contains 1 x hi vis vest, 1 x pair of heavy duty gloves, 1 x torch, 1 x safety goggles. Strong wheel choc which will suit wheels smaller than 920mm. 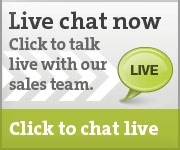 Width 200mm x Length 494mm x Height 232mm. Replenishments of absorbent products for universal ADR spill kit. For an efficient response to spill control and containment. The contents of this refill pack will absorb up to 18 litres of fluid. Strong wheel choc which will suit wheels bigger than 920mm. Width 162mm x Length 398mm x Height 190mm. 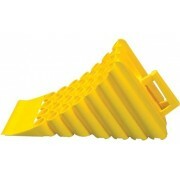 Two part polypropylene anti static shovel. Treated with an additive for moisture reduction. Supplied in two pieces which screw together. Two part design allows for easy storage. Polypropylene anti static shovel with glued handle. Supplied as one piece, with handle and end of shovel glued together. 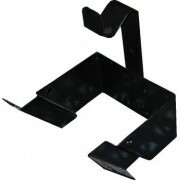 Glued fastening allows for greater durability. 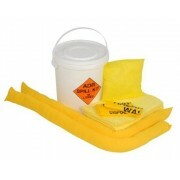 Convenient and cost effective universal ADR spill kit. Each spill kit will absorb up to 18 litres of fluid.